Plays two songs: We wish you a Merry Christmas and Deck the Halls. 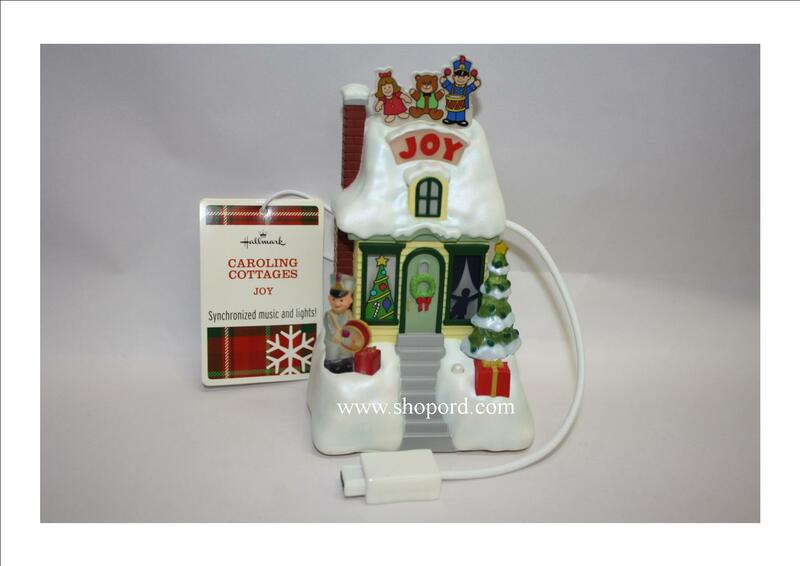 Each Caroling Cottage features its own unique design, light show and song medley. Create a neighborhood of harmonizing homes by collecting all four, or connect two or more together and watch them light up to each others songs. Each includes 3 replaceable AAA batteries (included).